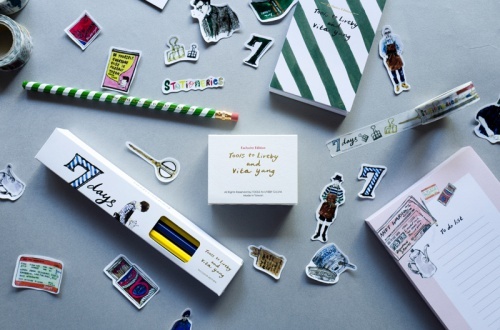 Vita Yang and TOOLS to LIVEBY now present a new collection of stationery. With the main concept " 7 DAYS 7 BOYS”, creates 10 exclusive items. Every item is MUST-BUY! Vita Yang, a fashion illustrator from Taiwan. She also regularly contributes with VOGUE Brazil for Donata Meirelles's column.